St. Patrick's Day is Friday, which means you'll probably find yourself drinking cheap green beer at some point this weekend. Over the course of centuries, March 17th has turned into a celebration of Ireland, and an opportunity to don t-shirts and headbands to prove yourself the most Irish among your friends. If that's how you celebrate, go to Target and buy all the green clothes and hats your heart desires. But what if a $12.99 "Kiss Me I'm Irish" or "St. Party's Day" t-shirt isn't your style? What if you want your St. Patty's Day greenery to include clothes and accessories you can actually wear again? Fear not. If you know where to look, there are plenty of green pieces that you can wear long after St. Patrick's Day. From kelly to olive, sneakers to suiting, every piece on this list is under $500. Below, check out ten options you'll want to can keep after this weekend's festivities. These bright green lightweight wool suiting separates from Banana Republic are totally office appropriate. (Bonus: For Halloween, you can repurpose them as a Riddler costume.) Lightweight wool jacket, $198. Pants, $110. Banana Republic, 256 Grant Avenue. Beyond meeting the green requirement, this Les Lunes jumpsuit is insanely comfortable. The material is a bamboo stretch jersey that may be the softest thing you ever put on your body. Wrap jumpsuit in pine, $220. Les Lunes, 3027 Fillmore Street. If you only wear sequins at night or on weekends, you're in luck: St. Paddy's Day falls on a Friday this year. And the long sleeves on this green cocktail number are practical for chilly San Francisco evenings. Sequin dress, on sale for $79.99. H&M, 150 Powell Street. These Zara heels are a perfect excuse to buy yourself cute shoes and blame it on the faux-Irish spirit. The green crochet will add a pop of color to your outfits throughout the rest of spring. Fabric high heels, $69.90. Zara, 250 Post Street. A bright crossbody bag is solid investment, and this one just happens to look festive for the upcoming holiday. The front turnlock and curb-chain strap details make it feel special. Crossbody saddle bag, $495. Coach, 190 Post Street. Kelly green not your thing? Try this olive alternative. The safari-meets-business vibe will carry you into summer. Green linen suit, $499. Suitsupply, 175 Maiden Lane. 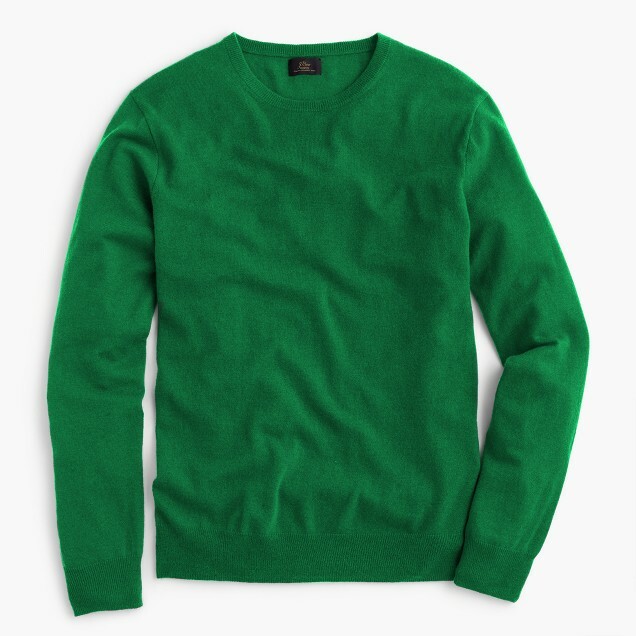 Kelly green isn't for everyone, but this sweater is seasonally-appropriate for St. Patrick's Day, spring in general, and Christmas. Plus it's cashmere, so it feels like heaven. Cashmere crewneck sweater, $198. J. Crew, 845 Market Street. Embrace celebratory startup vibes with the zip-up Slate calls "the greatest hoodie ever made." (Spoiler: it lives up to the hype.) 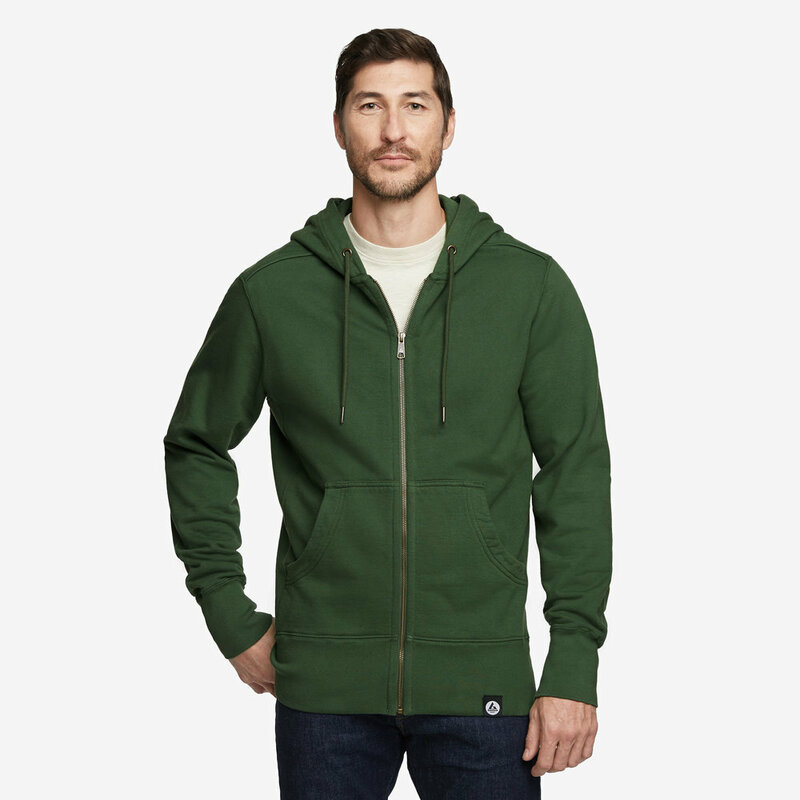 Classic full zip hoodie, $89. American Giant, available online. Leather sneakers combine the comfort of converse with the dignity of loafers. This woven style from Paolo is designed in San Francisco and made in Italy. 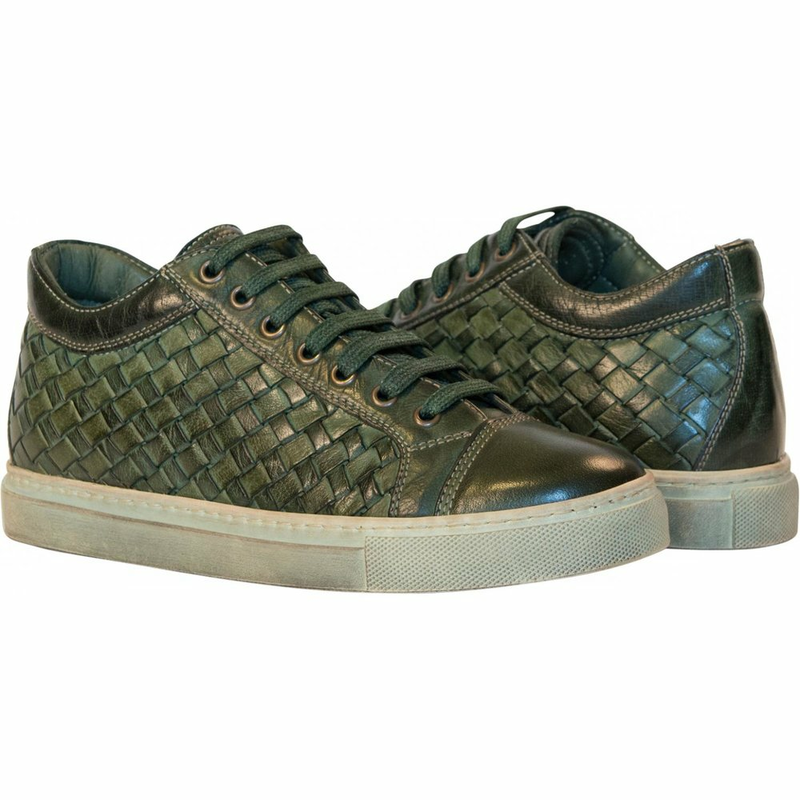 Kai dip-dyed forest green woven low tops, $299. Paolo, 524 Hayes Street. SF-based Westward Leaning is making some of the best shades on the market right now. This olive green pair is guaranteed to make all your other sunnies jealous. Galileo10 sunglasses, $185. Westward Leaning, available online.